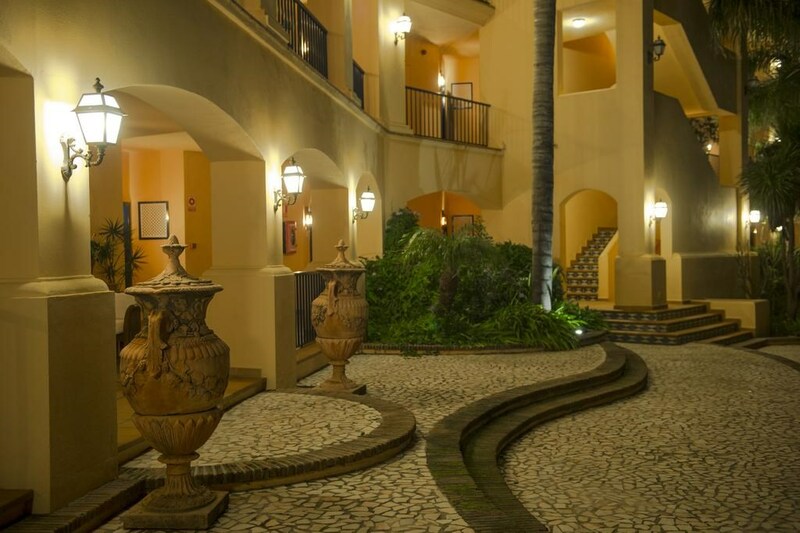 This charming golf hotel is situated close to the beach and the city centre of Marbella. Guests will find themselves just a short distance away from a number of shopping opportunities, dining options and entertainment venues. The hotel is located just 65 km away from the airport, offering added convenience for every type of traveller. This mesmerising hotel is nestled amidst 10,000 m² of well-tended gardens, adding an air of peace and serenity to the surroundings. The guest rooms are beautifully appointed, enjoying a refreshing style and a peaceful ambience. The rooms are well equipped with modern amenities. Those travelling for work purposes will appreciate the wide range of conference and meeting facilities that the hotel has to offer. 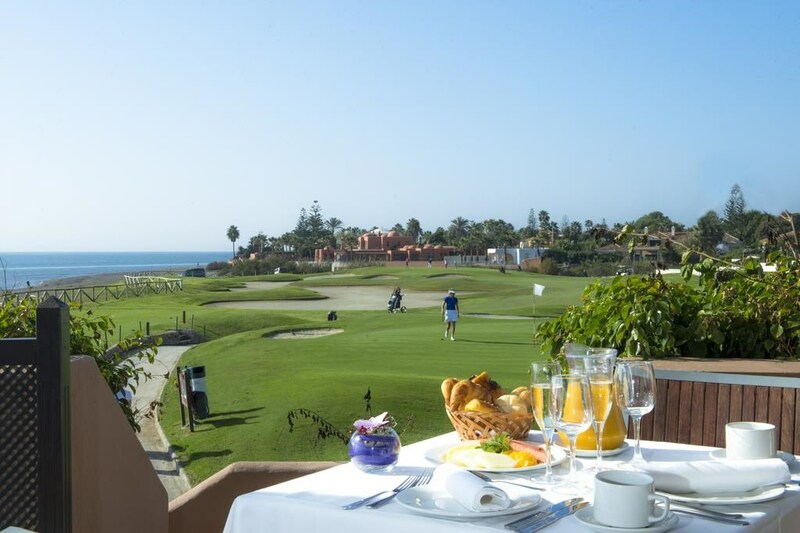 Hotel Guadalmina Spa & Golf has direct access to San Pedro Beach and the 10-hole Campo Sur de Guadalmina Golf Course. The resort has free Wi-Fi and a modern spa. 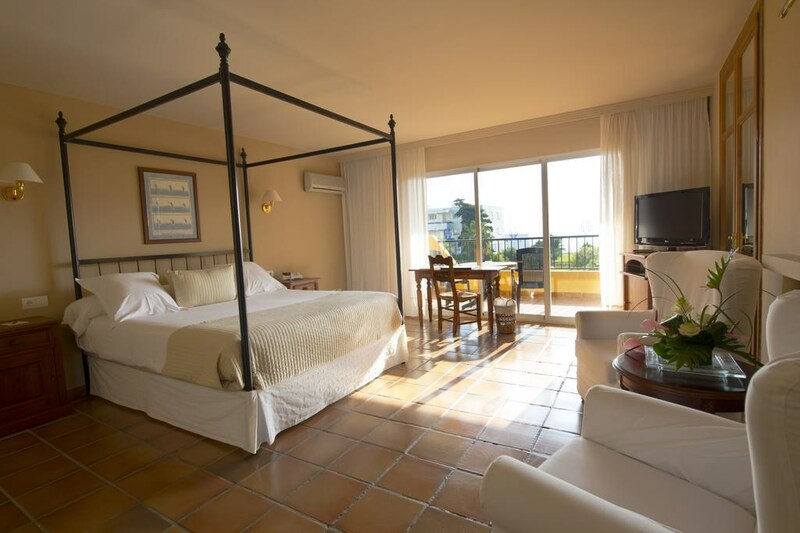 Each spacious, air-conditioned room at Guadalmina Spa & Golf includes a terrace with views of the sea, gardens or golf course. They also feature a flat-screen TV with satellite channels, free Wi-Fi, a safe and minibar. 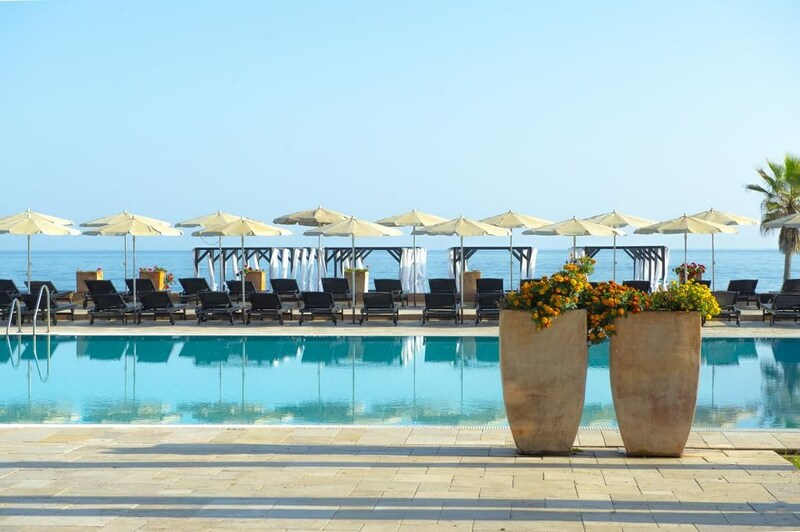 Guests enjoy free access to the resort’s fitness room, sun terrace and outdoor pools. There are special rates at the spa, which includes Turkish baths, a hydrotherapy pool, and Finnish Sauna. A range of massage and beauty treatments are also available. 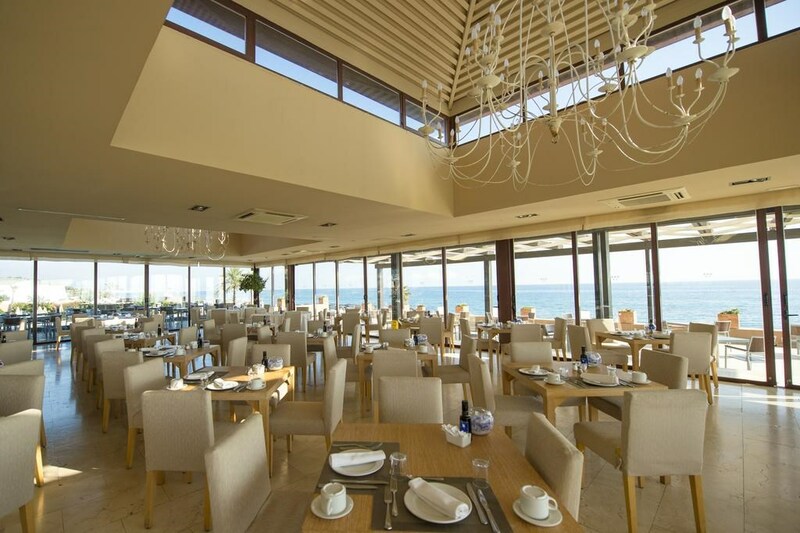 The Taray Restaurant offers a breakfast and dinner buffet accompanied by views of the sea, while the Cocoa Restaurant specializes in Mediterranean cuisine. Acqua Terrace Bar offers cocktails and snacks, and there is also a beach club in the summer with hammocks and Balinese beds. Surrounding the hotel is a 18-hole golf course and a 9-hole golf course. There is also a putting green in the hotel. Hotel Guadalmina Spa & Golf Resort is only 3.7 miles from Puerto Banus and 10 minutes’ drive from Marbella Old Town. Secure parking is available on site at an extra cost. Malaga Airport can be reached in a 40-minute drive. San Pedro de Alcantara is a great choice for travellers interested in promenades, old town exploring and the seaside. South Guadalmina, the first 18 holes of the 45 that make up the golf course of Guadalmina, was opened in 1959 and is the second oldest in the Costa del Sol. It is characterised by the fairways that wind through the shade of ancient trees. The fairways are wide and are virtually free of rough. In 2002 the Guadalmina Sur course was completely renovated and is now, to all intents and purposes, a new course with new tees including "Super-Seniors". The greens were rebuilt and the fairways re-seeded. Guadalmina North is considered less complicated than Guadalmina Sur. Although it covers more ground, is more undulating and contains more trees and water hazards. The Guadalmina River divides the course from north to south, and comes into play on the 17th. If this were not enough, there are lakes on holes 7, 9, 11 and 18. The course was designed by Folco Nardi and opened in 1972.